Three incidents involving firearms have taken place in three different parts of the Uzbek borders with neighbours recently. According to a report by 365info.kz, Uzbek border guards opened fire on a boat with fishers on the Syr-Darya River on June 28. The incident resulted in the death of Ualikhan Akhmetov, a citizen of Kazakhstan, who sustained firearm wounds and died on the scene, while the second fisher was able to reach the Kazakh bank of the river swimming. “We were floating from the Kazakh border side. Then a sign to stop was unexpectedly shown from the Uzbek side. My partner did not stop. That is when the shooting started. He fell onto [the bottom of] the boat, and I first thought he was hiding. But having taken a better look, I realised he was wounded. I threw myself into the water and swam to the Kazakh bank,” Jenis Bekeshev, the surviving Kazakh national, says. His partner, Mr Akhmetov, died due to sustained wounds on the scene. The Kazakh foreign ministry issued a statement, in which it declared its “decisive protest” regarding the killing of a Kazakh national due to “unlawful use” of firearms by the Uzbek border guards. The ministry also demands the Uzbek side provide “exhaustive and complete” information regarding the death of the Kazakh national in question. 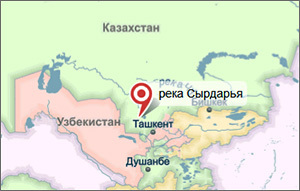 The second conflict took place on the Uzbek-Kyrgyz borderline. According to a public relations department under the State Border Service (SBS) of Kyrgyzstan, border details of the two countries exchanged fire on June 29. “A squad of border guards of Kyrgyzstan issued a notice to border guards of Uzbekistan, who were on the borderline near the Mashalang border crossing point in a section [of the border] under the responsibility of the Kara-Shoro border outpost, a unit of the Aydarken border detail. In response to the Kyrgyz servicemen’s demand not to violate the state border and administer patrolling at a specified distance away from the state border, the border detail of Uzbekistan opened fire on the Kyrgyz servicemen. The shoot-out between the two countries’ border guards took place on a non-demarcated section of the state border,” a press release the SBS circulated reads in part. The Kyrgyz side reported nobody suffered in the event, while no reports were made available by Uzbekistan. However, the US-funded RFE/RL’s Azattyk Radio service reports one Uzbek border guard did sustain a firearm wound, citing the authorised representative office of the Kyrgyz government in Batken Region. At the time of this writing, the Uzbek side issued a statement accusing the Kyrgyz border guards shooting one of its soldiers “on the territory of Uzbekistan”. Meanwhile, Uzbekistan’s border service reports on the apprehension of two violators on the Uzbek-Tajik border. Specifically, according to the press service of the State Border Protection Service under the National Security Service (SBPS NSS), two citizens of Tajikistan attempted to cross the Uzbek-Tajik border near the town of Andarkhan in Besharyk District on June 25, and resisted arrest, Podrobno.uz reports. Border guards are reported to have fired warning shots into the air, but because the perpetrators did not obey the order to stop, they [the border guards] opened fire at them. The incident resulted in “a perforating firearm wound of the outer surface of the upper third of the right thigh” on one of the Tajik nationals, who was taken to a hospital in Uzbekistan, and physician report his condition is “moderately aggravated”. The other Tajik national has been apprehended. The law-enforcement bodies of Uzbekistan launched a criminal investigation into the fact. Fergana has written many reports about conflicts on the border and attempts regional authorities have been undertaking to put an end to such incidents. However, tens of incidents continue taking place on the borderlines between and among the countries in Central Asia. For instance, the entire borderline between Kyrgyzstan and Tajikistan was completely sealed in 2014 following an incident: six Kyrgyz servicemen were wounded in a clash where a mortar was involved. The SBS of Kyrgyzstan reported late 2014 on the apprehension of 252 violators and 40 conflicts on its borders in just 10 months. The SBS reports today 135 violators were apprehended for violating the state borders in January-May 2015. The border service reports the incomplete delimitation and demarcation of the state borders is the main cause of violations. The history of border conflicts sheds light on many gruesome stories. Bilateral and multilateral “eternal friendship agreements” among the nations in Central Asia are shelved as soon as territorial claims surface or another interethnic conflict breaks out or disagreements on border zone residents’ interest erupt.